Have a great picture of Marjorie G.? Add it to the photo gallery. You will always be a true and loyal friend to me. I will never forget your kindness. I look forward to seeing you and Dave some day on the other side. All my love"
"Kathy my thoughts are with you.Marjie will always be a part of my life..So blessed I had such a beautiful friend..Always remembered Susie Wilcox Coleman"
"You had a beautiful soul and you were an amazing person. I will truly miss you!! Every time I laugh I will think of all the times you made be laugh. There is so much I can say but I will stop by telling you to rest in peace my dear friend, you will always be in my heart. I love you!" "So sorry for your loss. May the God of all comfort be with the family and this time and bring you peace. 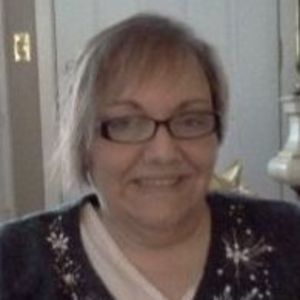 "My Good Friend Marjie--I will miss your smile and friendship- You were a great listener and such a tremendous influence to me when we met at UPS years ago. I send my heartfelt sympathy to Kathy and all her family in this time of loss. RIP wonderful lady God Bless You"